I love this dress so much I could frolic in it… wait I did… LOL Seriously though, the light weight material is perfect for the Summer heat. And can we talk about that detailing?? LOVE IT! 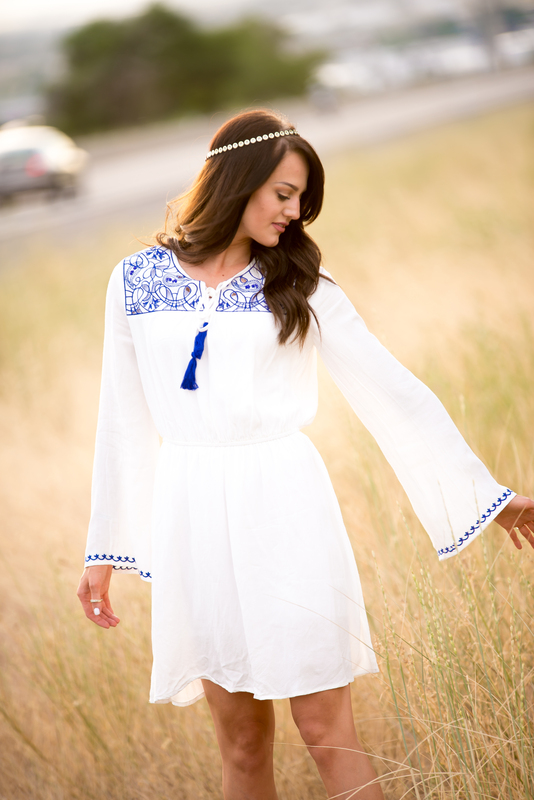 So boho and so cute. I got this dress from Forever21 so the price point was great! My hubby got me these cute booties last year so they are no longer available but I have linked some similar ones below. Also, I have been getting a lot of questions and requests on my makeup. I have a foundation routine coming soon till then below is my Summer baked makeup look. Hope you enjoy! Gorgeous! I love the head crown. What a fun shoot. Thanks babe! I thought it was too much at first but love it now! Adore the dress, the boots and these shots…fantastic! What a beautiful dress! Such a whimsical look and I love the blue details. Thank you doll, I love the blue details too!! I love Forever 21 and I loved the booties, too, very nice present! You look so beautiful and knowing more about your makeup will be excellent! 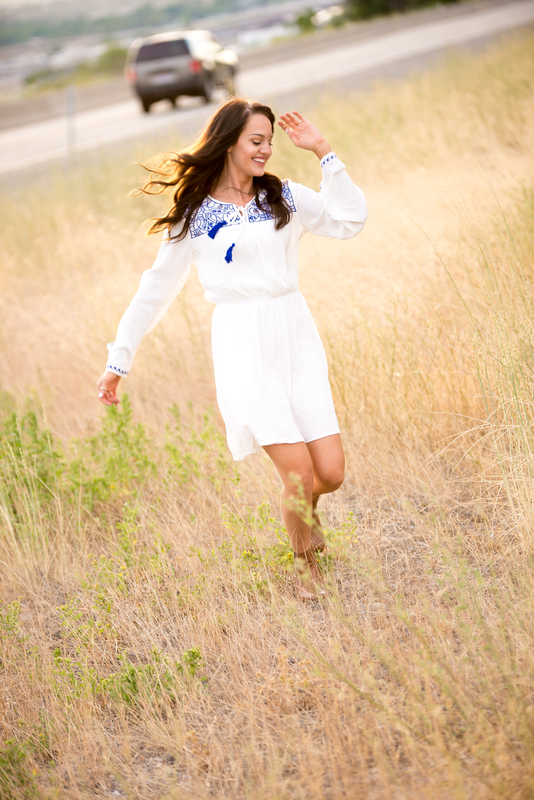 This dress is so nice, so summery, and your pictures are amazing! This is so cute! I love your lip color! That dress is so pretty & you’re simply stunning. I loved the tutorial, too! Love that you are always changing your style! Come see my favorite Al Fresco drink places in San Diego! So pretty, and I love the headband!! This dress is so cute!! I may or may not be ordering it right now (ha)! 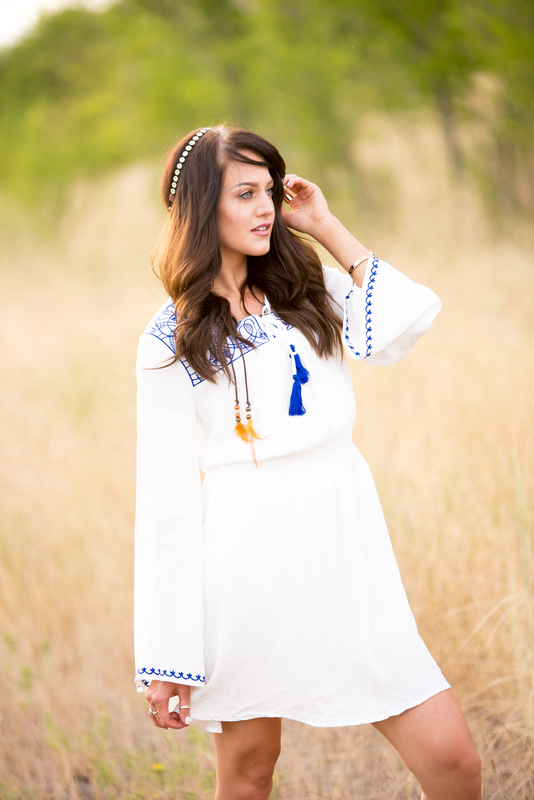 Jenessa, this is such a fun twist on the white summer dress! I love the blue details. hahah and I love the frolicking pictures.. very appropriate for the outfit! You are a babe! 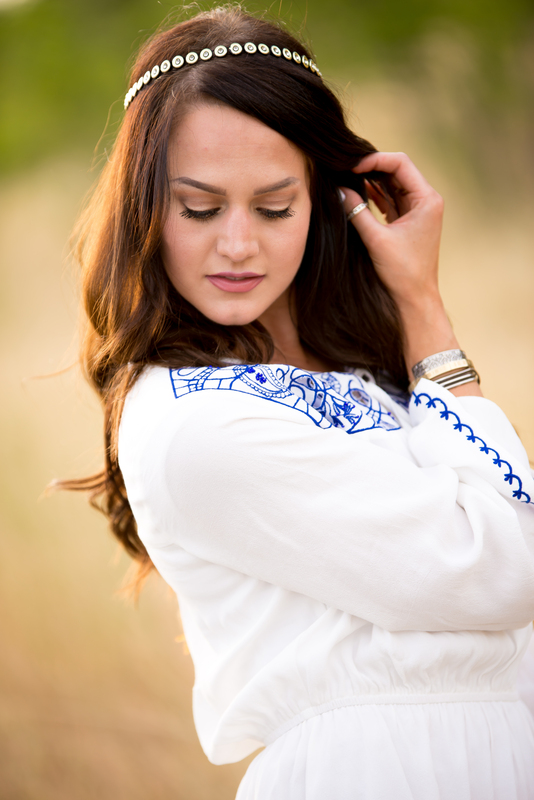 The photography on your blog is absolutely breathtaking!